Representatives from the UK’s network of heritage museums and vintage flying associations have met with parliamentarians at Westminster for the first meeting of the All-Party Parliamentary Group’s (APPG) new heritage aviation working group. The formation of the new working group comes at a difficult time for the sector, which has seen the number of airshows organised in the UK decline by nearly 40% in the last year alone, according to the Imperial War Museum. Heritage Aviation plays an essential role in supporting the rest of the £60.6bn UK aviation sector and the broader economy. Airshows and heritage museums inspire young people to pursue highly skilled careers in the sector and to develop the Science, Technology, Engineering and Mathematics (STEM) skills our economy desperately needs. The meeting touched upon the many challenges facing the sector, with attendees focussing on the stringency of CAA regulations on swept-wing aircraft and the high fees the Ministry of Defence charges when transferring retired aircraft to museums. The difficulties facing Britain’s many innovative small heritage engineering firms were also discussed in significant depth. The working group aims to assist the sector by providing a strong voice in Parliament for the regulatory and legislative reforms needed to ensure heritage aviation is once again brought back to health. The meeting saw members elect Robert Courts MP as the Parliamentary Chair of the group, and Dr Robert Pleming as Sector Chair. Robert Pleming is Chairman of Aviation Heritage UK, the representative body for aviation museums and aircraft collections in the UK, and is Chief Executive of the Vulcan to the Sky Trust – which restored and operated the world’s last airworthy Vulcan bomber jet. 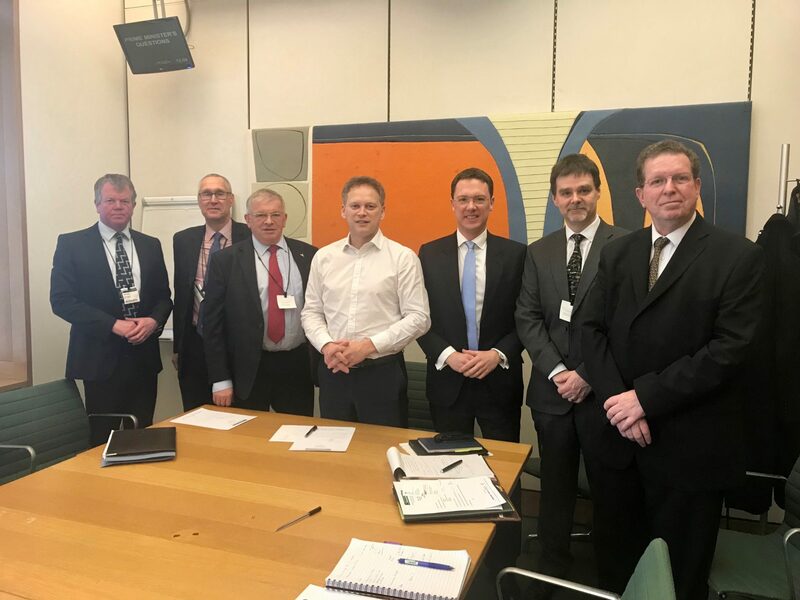 Grant Shapps MP, Chair of the all-party group, said: “I’m delighted to have our fourth Working Group established, looking specifically at the issues facing the UK’s valued heritage aviation sector. The working group pulls together experts from across the country, who will consider these issues in depth and present recommendations to Parliament and Ministers. Robert Courts MP, newly-elected Parliamentary Chair of the group, said: “I am delighted to be the Parliamentary Chair for this new working group concentrating on Aviation Heritage, as part of the APPG on General Aviation. This is a significant step in addressing the challenges facing Historic Aviation and strengthening national support. Most importantly, it is an important way for Members of Parliament and leaders in the field to recognise the major economic and educational contribution of this sector – and to work for changes in law and procedure. A full work programme detailing the group’s priorities and strategy will be released in the next few weeks on the All-Party Parliamentary Group’s website.